We reported an infestation of ants in our work area couple days ago. 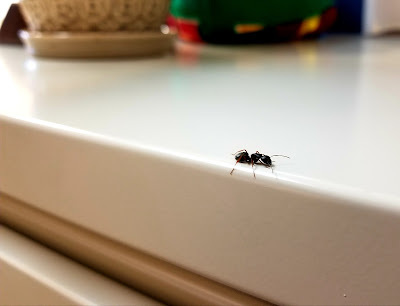 But few years ago, there was infestation n the same place where ants have wings and they've crawled and fallen off of the ceiling. Those ants got exterminated but now anothe family of ants again. 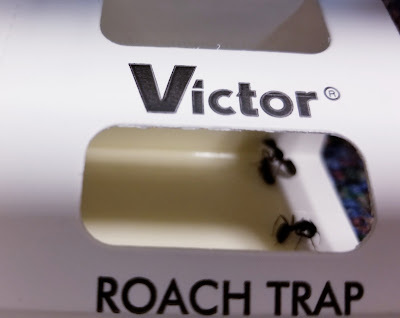 Since we can't xterminate them ourselves, this is what they did, a roach trap for ants, they've placed this everywhere.